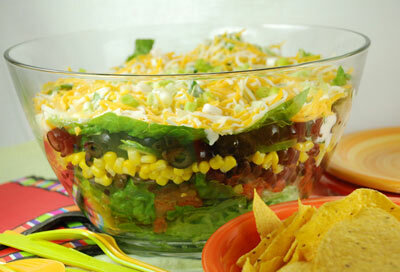 Place half of the romaine lettuce in large serving bowl. In small bowl stir together lemon zest (grated peel), 3 to 4 Tablespoons fresh lemon juice, mayonnaise, yogurt and garlic. Pour evenly over top of salad.